In today's rapidly-growing market, it's the push for more CPU cores and (mega)pixels that has been driving the industry forward. But every now and then, an extraordinary gadget emerges to explore new and exciting dimensions. Devices like the Samsung Galaxy Note and the Asus Padfone dare to go against the tide and remind everyone that there's more than one right way to make a phone. Or a tablet. Or both. 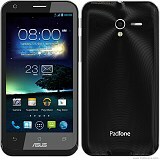 Asus obviously doesn't have Samsung's momentum, level of sales or, ultimately, an unlimited budget to really go all out on a project like this, but the first Padfone was successful enough to warrant another go-around. A year later, the sequel has a foundation to build upon, and the company has had time to learn and get stuff ironed out. 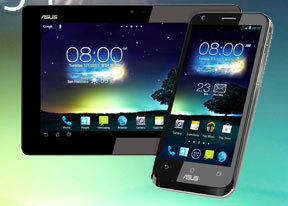 And going by the Padfone 2's specs, Asus are hoping to make a splash. With the second Padfone you have a properly-powered smartphone just a 1080p screen short of matching the 2013 flagships, and one that converts into an equally powerful tablet. The station screen is not quite up to Retina standards either, but considering the price of the whole package, Asus is still vastly over-delivering. Sure, the Asus Padfone 2 is priced rather steeply for a smartphone, but it's actually a fraction of what you'd normally pay for a quad-core smartphone and a quad-core tablet. Not to mention the added convenience of having all your files, contacts and accounts at your disposal at all times, regardless of which screen you're using. Which leads us to the catch. You are not actually getting a smartphone and a tablet here, it's simply two screens to work with and two batteries to power the same combo. The best thing is, the Padfone station (the tablet body) will charge the phone's battery too. Think: a tablet with an escape pod, or a phone that can more than quadruple its screen size when needed. It's a smart concept indeed, but we're yet to see how good the Padfone is at both jobs. The first impression it made on us back in October was very positive, so we're looking forward to exploring it in-depth and seeing how well the tandem performs. The hardware overview is coming up right after the break and there's more stuff than usual to tick off the checklist, so let's get to it! That camera user interface in the screenshots on page 8 of this review (ID 891) looks very beautiful. Also I forgot to say that the screen of the smartphone, yes it is very bright, but unfortunately black colour is bad, it is never real dark black.